For those of you who inquired, the founder/owner of this site, Susan Sun Nunamaker, has training or degrees (from University of Illionois at Champaign-Urbana, Converse College, Harvard University, and Stanford University), and/or professional work experience in applied math, engineering (civil-environmental), medical sciences, and further education in Energy Innervation and Emerging Technologies. I also have over 20 years of experience as a university/college math professor (online and onsite) in state of Illinois and Florida. During our new Clean and/or Renewable Energy Age in the coming century, there is tremendous need to go back to the basics and educate our future generations the applied math and sciences necessary for them to prepare for the new Clean and/or Renewable Energy Age. 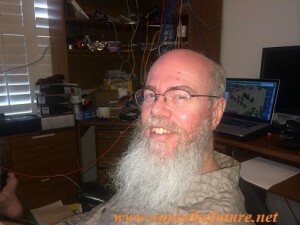 So I have started www.sunisthefuture.net to help spread the knowledge and applications of solar energy. From Jan., 2011 to July, 2015, sunisthefuture.net has reached readers/viewers from 192 countries (according to Google Analytics), over 21,000 subscribers, over 43,000 users, over 92,000 pageviews, and I hope www.sunisthefuture.net will continue to bring greater awareness and applications of solar energy to every corner of planet earth. 3. http://www.kiva.org/team/sunisthefuture (join us at Sunisthefuture Team at Kiva to help entrepreneurs in USA and developing nations to establish small businesses in solar energy/renewable energy/energy efficiency/recycling via micro-finance, ridding poverty while spreading sunshine throughout our planet.). My time is usually spent in: teaching or sharing (on site and/or online), practicing yoga or qigong, reading, painting/sketching, listening to music, traveling, learning about natural medicine, and finding ways to help speeding up the process of our planet earth’s conversion to solar/renewable/clean energy and reduction of CO2 emission. Susan Sun Nunamaker started Sun Is The Future early in Jan. of 2011, and is the Founder/Owner/Editor/Producer of Sun is The Future. 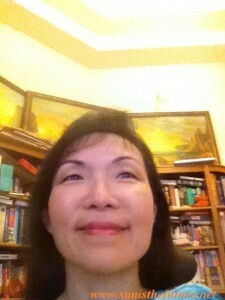 Susan Sun Nunamaker’s responsibilities: research, write, edit, post, photograph, produce, interview, market & promotion. Michael Nunamaker helped with filming of World Solar Challenge in Oct., 2011, then officially joined Sun Is The Future as the Chief Technology Officer in 2012. Michael Nunamaker received his degree and training in electrical engineering from University of Illinois at Champaign-Urbana. He also had years of experience in running a software business. Michael Nunamaker’s responsibilities: research, video-record, rendering videos, IT.